We are an FAA Licensed Drone in New Hampshire to help with all your aerial photography needs. As one of New Hampshire's small group of licensed drone pilots, Ambit Drone offers Ultra High Definition photography and videography shot in up to 4K resolution. Our goal is to travel New England capturing a new perspective on the world as we see it. With a need for high quality pictures and videos in industries like Real Estate, Fun Parks, Dealerships, Landscaping, Photography and more, Ambit Drone offers those needs to existing and future clients. We are New Hampshire's premiere full service drone photography & videography company specializing in residential and commercial properties. 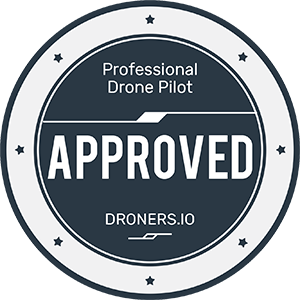 As a licensed FAA Drone Pilot, specialize in Unmanned Aerial Systems (UAS) to bring you stunning aerial film and photography at a price that makes economic sense to you and your production. We offer a variety of high quality photographic and ultra HD video packages to clients seeking professional aerial media solutions that are adaptable and suitable for a variety of applications. All projects from the flight to post production are tailored to fit your individual requirements. At Ambit Drone our mission is to provide our clients with a whole new perspective on how they view the world. We offer amazing Ultra High-Definition (UHD) photography as well as video shot in up to 4K resolution. With over 25 combined years in the service industry, our staff knows what it takes to provide professional services to our clients. It's our goal at Ambit Drone to provide you the quality that you deserve and expect. We take pride in listening to our client's needs and producing the perfect shot. With videos that can be shot in up to 4K resolution, you can expect clarity and high definition video from Ambit Drone. And with Ultra High-Definition (UHD) photos, Ambit Drone offers high quality photographs that can be used for any of your needs. The staff at Ambit Drone has over 25 years of combined experience in the service industry. We know what it takes to make our clients happy. We make it a priority to assure that you - the client, is happy with the results. We want our clients to rave about their experience with Ambit Drone and the staff. So we will do whatever we can to make sure our clients are satisfied. Ambit Drone offers a variety of services to help suit your needs. From aerial photography to file conversions, we can help with any of your needs. While most services like YouTube, Vimeo and others offer the ability to convert your videos when you upload, sometimes you need a little extra help. We offer file conversions as well. We make scheduling drone services easy. Simply call us or email us to schedule your appointment. Our staff is here to help provide you the service that you need. We offer a variety of photo sizes that are shot in Ultra High-Def. Just let us know which sizes you need specifically and we will make sure to fill your requests. Sometimes you need a little help with getting things on the internet. We can offer assistance with that as well. We will gladly help upload photos and videos if you need. Unless requested not to, we will add photos and videos to our social channels such as Facebook, Instagram and Twitter to help you show off to the world. We offer a variety of video sizes to our clients. Our drone can shoot amazing video in up to 4K quality. We want the whole world to see things from a new perspective. That's why we offer afforable pricing for any drone flights we offer. Check out some of our shots from the air. We try to get as many photos as we can while we are traveling. Our professional team is ready to answer any questions you may have or help you set an appointment. Our staff provides friendly, courteous service to each and every client. We've got some answers to the most frequently asked questions. Yes! Ambit Drone has completed the Part 107 certification testing and passed. This allows us to fly anywhere in the continental United States. The answer is yes, we are allowed to fly near an airport. Although some airports may require us to be granted approval by ATC (Air Traffic Control). Sometimes this process may take up to 90 days to be granted approval. It's best to check with our staff for more details. Yes! Ambit Drone can offer insurance up to $2.5 Million Dollars using the service Verifly. Insurance time ranges from 1 hour to 8 hours. Why type of drone do you have? Ambit Drone uses a DJI Phantom 3 4k drone. This allows us to shoot pictures in UHD (Ultra High-Def) as well as video up to 4K in resolution to provide you the quality images and videos you need. We are allowed to fly at night, but would require a waiver from the FAA to do so. If you are looking for night time shots, we would need up to 90 days advanced notice to submit a waiver to the FAA to do so. Every chance we get. We use our drone to capture high quality photos and videos for multiple reasons. This allows us to put the drone up as much as we can and provide the shots to our clients or online sites. Will you travel for a job? Yes. Ambit Drone likes to travel all around the New England area getting amazing photos and videos of different scenes from a new perspective. We would need to know when and where we would be traveling to in advance so we can research and plan accordingly. Not only do we offer aerial photography and videography, but we also offer services like post production, online exposure, file conversions, online placement and more. How will I receive my photos and videos? We offer an online portal for clients to login and download their files. Once you have scheduled services with us, we will provide you with login details to the portal. How can I schedule drone time? To schedule drone time simply either email us at fly@ambitdrone.com, or give us a call at (603) 605-1055. You may also choose from a package below. nisi eaque, cupiditate minus omnis, voluptatum corporis neque placeat quod temporibus mollitia. Quod accusamus, iure eveniet quod temporibus mollitia. or just an individual - we offer packages that's easy on your wallet. Get access to updates, specials, amazing photo and video releases. Sign up today. Who doesn't love a good sunset, or amazing shots from the air? Want to see more? Join us on the major social platforms where we will be releasing drone photos and footage regularly. Just like any other business, you can find Ambit Drone on Facebook. Be sure to like us please. Want to see some amazing photos from drone shoots? Follow us on Instagram. See where we are heading to next! Follow us on Twitter.